More than 150 participants from all around the country attended a half-day forum on 9 August, 2018, at the Athenee Hotel Bangkok to analyse the key issues and brainstorm ways to enhance safety and security for visitors. Presided over by H.E. Mr. Weerasak Kowsurat, Minister of Tourism and Sports, the forum was held under the theme of “Travel around Thailand, Safe Everywhere”. It was also attended by Mr. Yuthasak Supasorn, Governor of the Tourism Authority of Thailand (TAT), and representatives of numerous private and public sector associations. Mr. Weerasak said: “Thailand has recently experienced numerous incidents impacting the safety and security of both Thais and foreign tourists. This has had a negative impact on the image of tourism and could potentially impact on the tourist atmosphere of the country over both the short and long term. 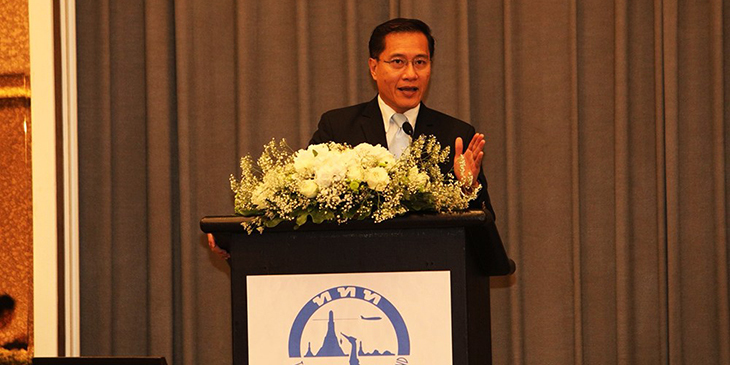 Under the forum, it was discussed that if Thai tourism was to maintain its competitive advantage, in accordance with the 20-year national development strategy (2017–2037), it would be necessary to set measures and guidelines to strictly enforce the rules and regulations and ensure proper coordination among all the various entities. The Minister said that last year Thailand attracted 35 million visitors, which is equal to the population of a sizeable country. He said the decline in arrivals from China which followed recent accidents; such as, the boat mishap off Phuket was not important compared to the value of a human life. He said the Royal Thai Government was deeply appreciative of the remarks made by Chinese President Xi Jinping calling on Thai authorities to do everything possible to ensure safety and security for all visitors, not just the Chinese. According to TAT Governor Mr. Yuthasak Supasorn, TAT is responsible for maintaining the competitiveness of tourism marketing and ensuring visitor satisfaction. As such, the outcomes of the safety and security forum would go a long way towards ensuring that Thailand remains a “Preferred Destination” for global visitors. All the measures and recommended actions generated by the forum would be divided into three parts: Preparation Measures, Crisis Management Measures, Post-Crisis Relief Measures. These will be communicated to the National Tourism Policy Board and the Cabinet to approve for further action by the relevant agencies.